Autocheck Certified 1 Owner/0 Accidents, Low Miles, Crew Cab, 4x4, LTZ Package, Duramax Diesel, Tow Package, Long Bed, Z71 Off Road Suspension Package, Wireless Charging, Power Driver's Seat with Memory Recall, Power Folding Tow Mirrors, Bose Premium Sound System, Auto Up/Down Power Windows, Power Adjustable Lumbar Support, Factory Installed Trailer Brake Controller, Automatic Headlights, Fog Lights, Heated Steering Wheel, Collision Warning, Hands Free Bluetooth, Voice Recognition, Heated and Cooled Leather Seats, Rear View Camera, Dual Zone Automatic Climate Control, Adjustable Pedals, Cargo Light, Parking Sensors, Lane Departure Warning, Downhill Descent Control, Exhaust Brake, USB Charge Ports, A/C Outlet, Rubberized Floor Mats, Sunroof/Moonroof, Spray In Bed Liner, Remote Start,and Much More! This 2017 Chevrolet Silverado 2500HD is a jack of all trades! 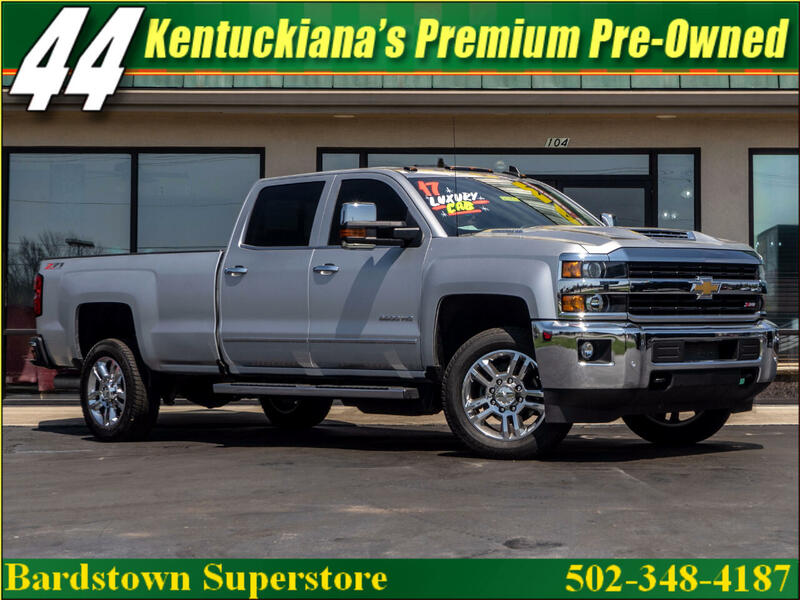 This Crew Cab truck has all the modern features offered in the Top of the line LTZ Trim, a massive Diesel Engine with mountains of torque, and Striking good looks that will turn heads at work sites and city streets alike!